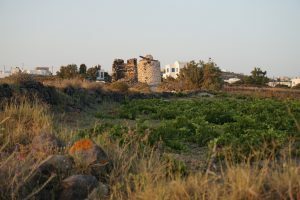 Most people think about the wine tasting or lunch menu when considering their favourite winery destination, but the setting and view are a key element of a great winery experience. 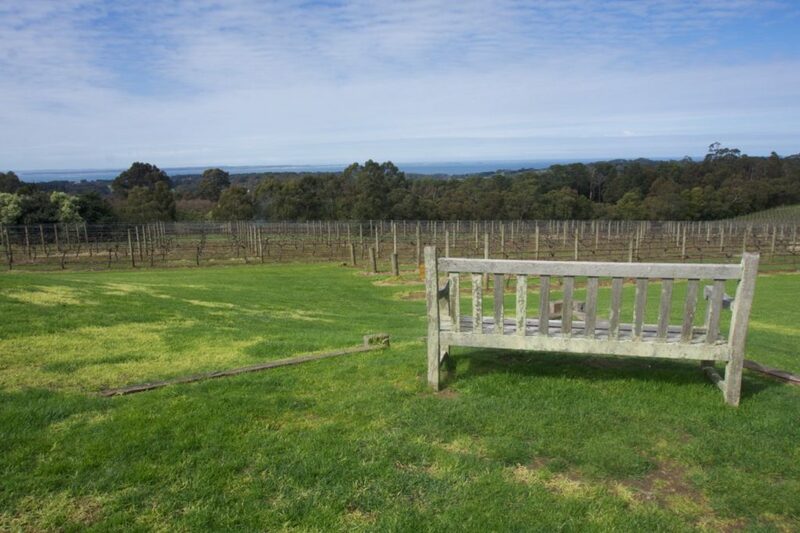 After some debate we have made our definitive list of the Top Five views in the Mornington Peninsula. Vines, treelined hill, olives, pergola with hanging bunches: tick for all. On a warm sunny day you can squint a little and imagine you’re in Tuscany. If we’re being honest, while Montalto’s natural position and outlook are pretty good, it’s the growing collection of sculptures that push this view into the top five. Whether you are lunching inside the restaurant, on the piazza or amongst the sunflowers, there’s an interesting (and large!) 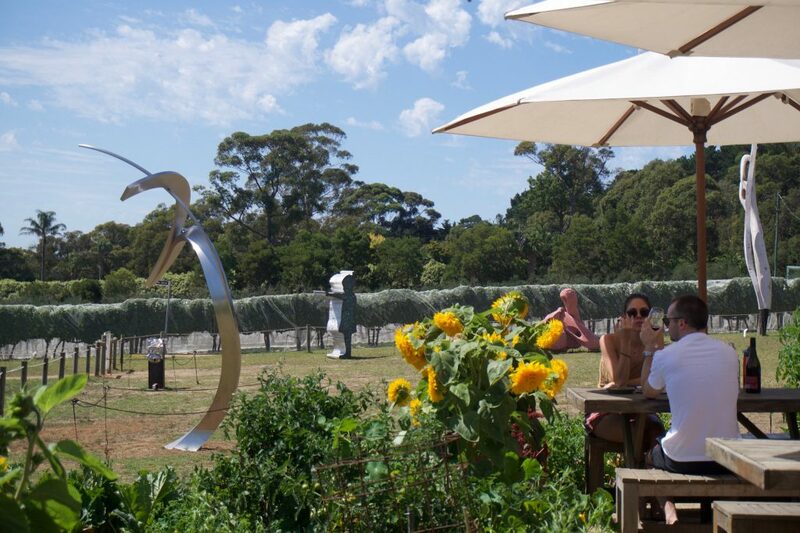 artwork for you to ponder, with a backdrop of vines and gardens. It’s pretty hard to take your eyes of the rammed-earth construction, bold curves and light-filled interiors of the winery building at Port Philip Estate. 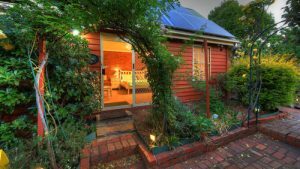 Once you’re accustomed to the nearby grandeur you can sit down for lunch and look out and down Red Hill towards the water. With its manicured grounds, trellised roses and well-populated duck ponds, Red Hill Estate is already a feast for the eyes. 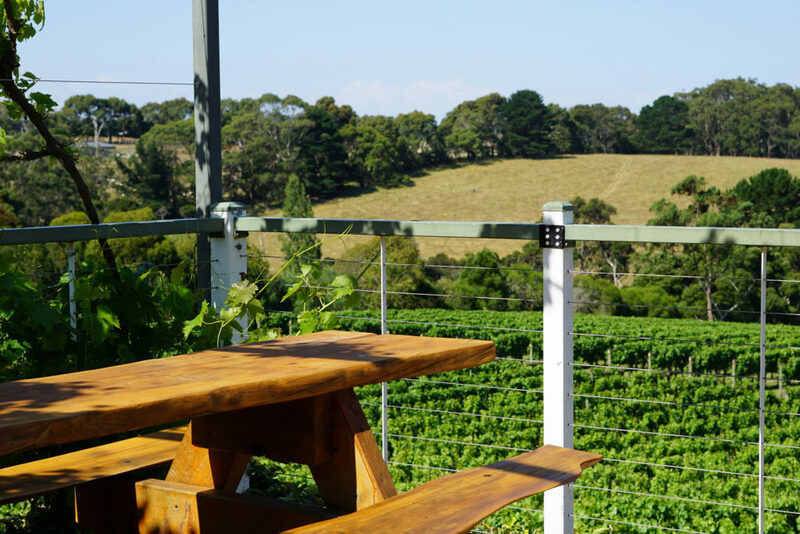 However, if you’re sitting in Max’s Restaurant or just one of the strategically placed benches, you will be treated to a stunning vista of the vine-covered slopes down to Western Port Bay and beyond. Elevation is a crucial element both in winemaking and in getting some perspective. 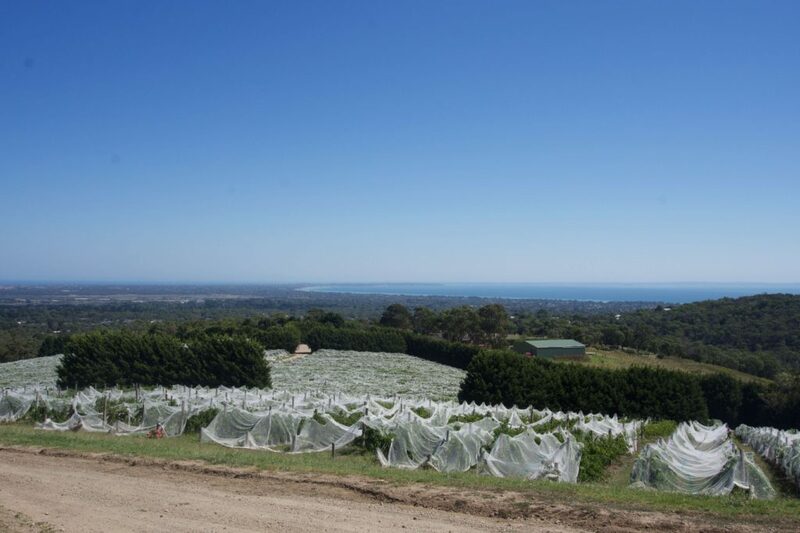 Blue Range Estate has elevation in spades, and there’s no better way to gain some perspective than having a snack and a delicious glass on their balcony, as you gaze Northwards across Port Phillip Estate all the way back to Melbourne CBD. 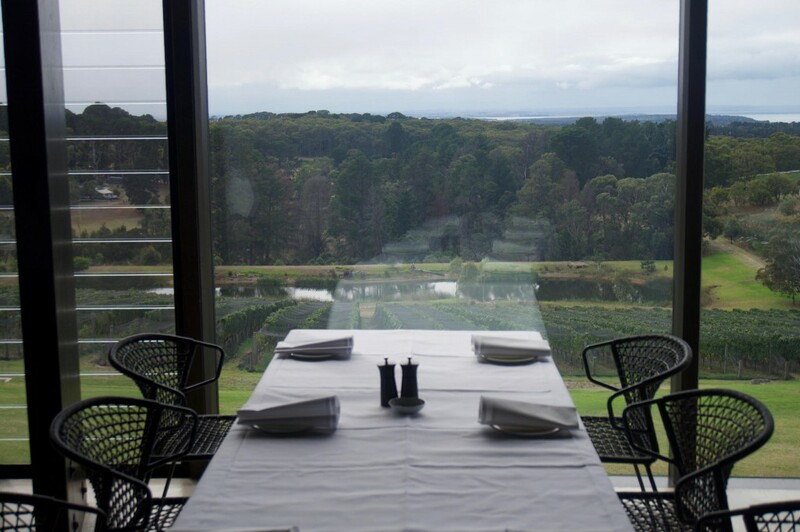 Check out some other Top Lists, like our Top Five Lunch Spots in the Mornington Peninsula and Five Best Lunch Spots in the Yarra Valley.